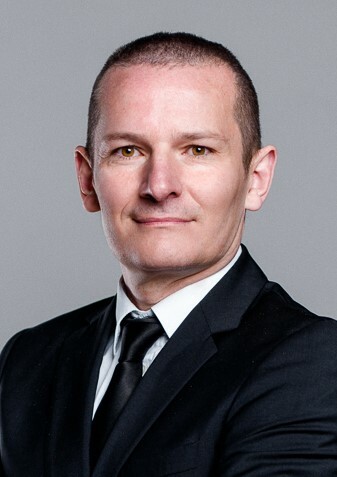 Pierre-Jean Muller is the founder and CEO of RED Technologies. He founded the company in 2012 following the emergence of new radio spectrum sharing regulatory schemes. Today RED Technologies develops and commercializes Dynamic Spectrum Sharing solutions (LSA, SAS), Self Organizing Networks (SON) and Real-Time Radio Planning for Mission Critical Private Mobile Radio. Pierre-Jean is a regular speaker in spectrum and wireless technology events globally and during his 25 years career in the telecommunications hosted several elected positions in ETSI and 3GPP." Simon is a specialist in the technology of wireless communications, with a technical and commercial background derived from senior appointments in both industry (including Philips and Motorola) and academia (University of Surrey). He is an adjunct professor at Trinity College Dublin and Access Technology Principal at Google. As co-founder and Director of Technology for independent wireless strategy advisory firm Real Wireless, he was responsible for overall technical capability and direction, providing independent wireless expertise and advice to operators, regulators, technology and law firms and wireless users. Customers included Ofcom, Cisco, European Commission, Virgin Media, TalkTalk, Inmarsat and many others. He is an author of over 150 articles, books and book chapters. He has acted as a consultant to companies including BAA, BBC, O2, Ofcom, BT, ntl, Mitsubishi and British Land and was CTO of Red-M and CEO of Cellular Design Services Ltd and has acted as an expert witness in legal proceedings in England and the US. Simon speaks and chairs a wide range of international conferences and training courses and has invented over 15 patented wireless technologies. Particular expertise includes in-building wireless systems, radiowave propagation prediction, smart antenna design and mobile system analysis. He has served on technical advisory boards of several companies, was Visiting Professor to the University of Surrey, member of the industrial advisory board at University College London, founding chairman of Small Cell Forum (formerly Femto Forum), which he chaired from 2007-12 and a member of the Ofcom Spectrum Advisory Board from 2007-14.